All courses are tailored specifically to meet the needs of Frontline Staff working within various sectors. The exact syllabus can be set up in consultation with the client’s training and development needs. At youir venue on a date to suit your group. Anyone working with the general public or just concerned about their general safety. The cost of a days training programme is £500.00 + vat. It is also possible to run a combined course with elements of Personal Safety and Conflict Management. Looking for personal safety training? 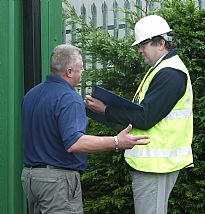 If you need any help or have any questions on personal safety training why not call us on 01985 843100 for a chat. Alternatively, drop us an email info@aid-training.co.uk and we will get in touch.